If you ever experience the damage of a house fire, it could be hard for you to determine what to do next, without preparation. These simple steps will give you a better idea of what to do after a fire in your home and help you get back on your feet again faster. Chances are, either 911 or the Fire Department/Police were the first people to be called in the event of a house fire. But if the Police were not notified right away, you should make that call a priority. Empty homes- even those with damage- are lucky breaks for squatters and looters. By contacting local police, this will ensure your property will remain safe during your time away. A house fire can be a terrifying experience. Relocation and stress, especially for children and pets, is something to be handled with care. It’s important for the displaced homeowner to find a safe and comfortable place to relocate to. If staying somewhere like a hotel, or with friends or family isn’t available, try reaching out to your local disaster relief agency like the American Red Cross or Salvation Army. Many times, there are also local organizations that can provide temporary shelter or relief for free. 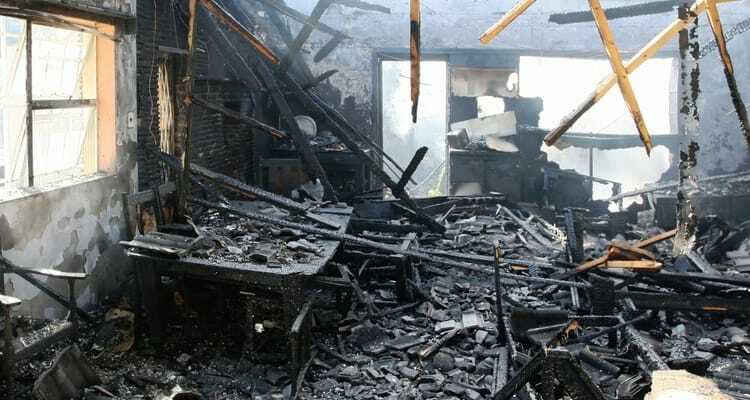 When a disaster like a home fire happens, you need to file your claim immediately! The sooner you contact your insurance agent, the faster you can begin repairs or search for a new home. Many insurance carriers provide help for daily expenses which is known as ‘loss of use’ funds. Your agent can also help you find cleaning services for the home. Take into account all property that was involved in the fire. Make a list of items—both big and small—that were lost or damaged to ensure you’re reimbursed. Many insurance companies require detailed information including the make and model of items, serial numbers, and receipts of everything you are trying to claim. Especially in a total loss, this can be difficult, or maybe you don’t yet have access to it yet. It’s also extremely critical to make a list of important documents that were lost or damaged in the fire. Things like drivers’ licenses, birth certificates, passports, marriage licenses, titles and deeds, medical records, bank statements, tax information, etc., will need to be replaced immediately. Your agent should be able to let you know which items are necessary for your claim.